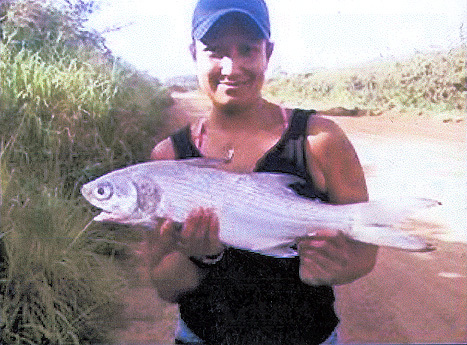 Buffy was fishing at Marine Camp near Wailua, Kauai in about 30 feet of water when she caught her record moi. She was fishing at night with her South Bend Goliath reel and Eliminator pole using ika for bait when the moi hit. The fish put up an intense battle against Buffy's 20-lb test line, but it was time to rewrite history and crown a new state record.